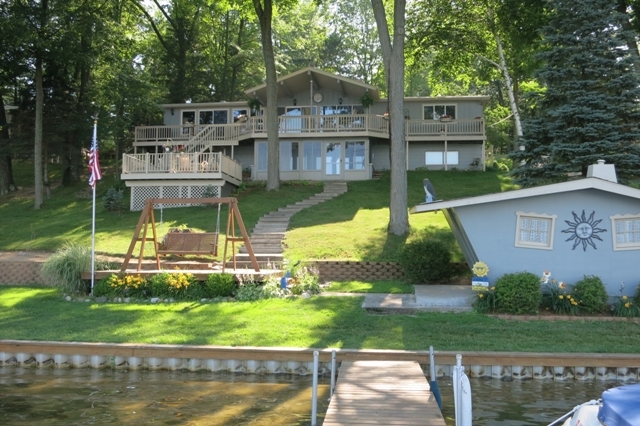 Are you looking for a waterfront home? Horsehead Lake and the Tri-Lakes in Mecosta County Michigan are some of the nicest lakes you will ever find. Pristine water, great fishing, all-sports water, sandy beaches for swimming is something everyone hopes for in lake front homes. There is a new area on my website to quickly search homes on these two lakes and it will show you all of the wonderful property for sale. We have new homes listed this fall so be sure to check out the website page "Horsehead Lake and the Tri-Lakes for these great waterfront homes. Call me for your personal tour anytime! Here is a link to get to the website page - Horsehead Lake and the Tri-Lakes - click here!